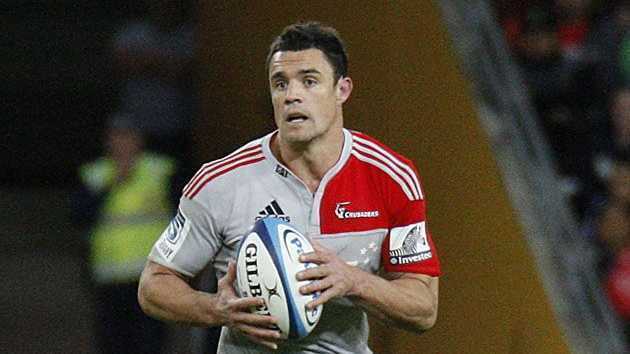 ALL Blacks first-five Dan Carter will play at second-five for the Crusaders against the Stormers in Christchurch on Saturday night. In a surprise move from the Crusaders, first-year squad member Tom Taylor has been named at first-five, with Ryan Crotty, now fully recovered from his hamstring injury, named on the reserves bench. The move points to a Crusaders' plan in unlocking a Stormers defence which is among the best in the competition. The Super Rugby leaders, who are unbeaten, kept the Highlanders tryless in their 21-6 victory in Dunedin last weekend, with Jamie Joseph's men scoreless in the second half. Todd Blackadder's other changes are more predictable. He has swapped the Franks brothers so that Ben takes the No3 jersey from Owen. Lock Tom Donnelly comes back into the starting XV, pushing Luke Romano to the reserves. The Crusaders returned from their South African tour, where they beat the Lions and lost narrowly to the Bulls, earlier this week. Israel Dagg, Sean Maitland, Robbie Fruean, Dan Carter, Zac Guildford, Tom Taylor, Andy Ellis, Kieran Read, Matt Todd, George Whitelock, Sam Whitelock, Tom Donnelly, Ben Franks, Corey Flynn, Wyatt Crockett. Reserves: Quentin McDonald, Owen Franks, Luke Romano, Luke Whitelock, Willi Heinz, Ryan Crotty, Tom Marshall. Which team will win this year's Super 15 competition? This poll ended on 24 December 2012.